Students know first-hand just how expensive post-secondary education can be. From tuition to textbooks to materials, it all adds up and can put a serious strain on you while you’re trying to learn. So many people dream of travelling to the United States to obtain their education, but for international students, their education comes at a price. Compared to the rest of the world, the U.S. has one of the highest tuition fees, yet hundreds of thousands of people come every year to get their diploma in the land of the free. If you’re one of those people looking to study in the states, there are a few things you can do to try and lower the expense. Let’s take a look how international students can save. 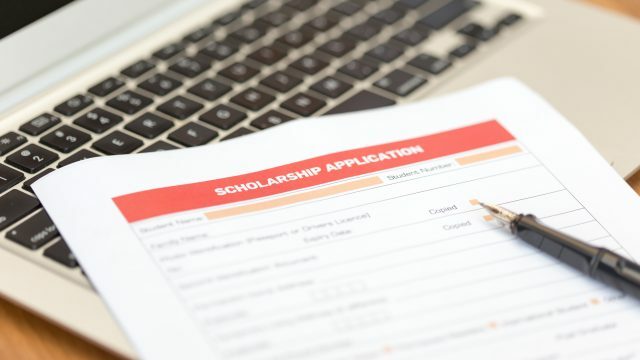 For students who need to improve their English skills to get into a US College or University, the most economical and fastest way is often taking Pathway program, like ILSC’s. The program takes a minimum of 2 months to completely. Sessions start monthly, meaning, if by chance, a student doesn’t pass one level, and they only have to repeat one month. Tuition fees are often lower than college and university ESL programs, and ILSC’s University Pathway program can also give added benefits, like direct entry into partner schools, without requiring a test score; an easier integration into American life; and skills to help you excel in the USA education system. According to student support at the College Board organization, tuition fees for the 2014/15 school year at state colleges were an average of USD $9,139 for Americans, and $22,958 for those coming from other countries. This compares to an average of $31,231 at private, non-profit colleges for students coming from other states or other countries. Interestingly enough, the most affordable option was public sector two-year colleges, commonly referred to as communication, technical or city colleges, where the average fees for 2014/15 were as low as $3,347 for international students. So yes, it’s safe to say education in the USA is quite expensive. For some, they have dreamt their whole life of studying in America and even the high cost of education won’t get in their way. There are a few ways to decrease these costs, if you know where to find them, and when you’re paying $22,000 a year in tuition fees, every penny counts. On the same note, financial aid for international students is readily available. For example, Stanford undergraduate students who come from households that earn less than $100, 000 are eligible to receive scholarships and grants that can cover 100% of the tuition. That might help just a little bit! Although many students plan to study at an American university as soon as they can, most international students are unaware that they can take up to half of their degree coursework at a community college. Many schools have transfer programs that allow you to bring your credits with you once you’ve completed a certain portion at their school. This can easily cut your education fees in half and relieve some of the stress that student debt can cause. There is another option for those students who already have their degrees but want to continue their education and pursue a master’s degree or PhD. You can send your transcripts to any licensed US-based transcript evaluation organization, such as Educational Credential Evaluators (ECE) or World Education Services (WES.) These organizations can confirm your diploma, review your credits and let you know which ones are transferrable to the U.S. This gives them the opportunity to asses an international student’s education level to see if they qualify to enter the graduate program or not. This can save you valuable time and money, and allows you to continue your education right where you left off, instead of starting all over again. It’s often been said that education is the key to success, but receiving that education can prove difficult, especially for international students hoping to study in the expensive U.S.A. It does require some effort, but finding ways to lower costs are available if you know where to look. Whether it’s through attending a community college or applying for 10 scholarships, you can access the tools that will help make your American education dreams a reality! Need help meeting the English requirement for a college or university in the USA? Learn more about ILSC’s University Pathway Program here!